I am making multiples of this card for a Boy Scout function, so I made a template of the “flap” because it is such an odd shape. The layout came from a hobby demonstrator I met at the pool at convention in Orlando…thank you Tracie Salo! 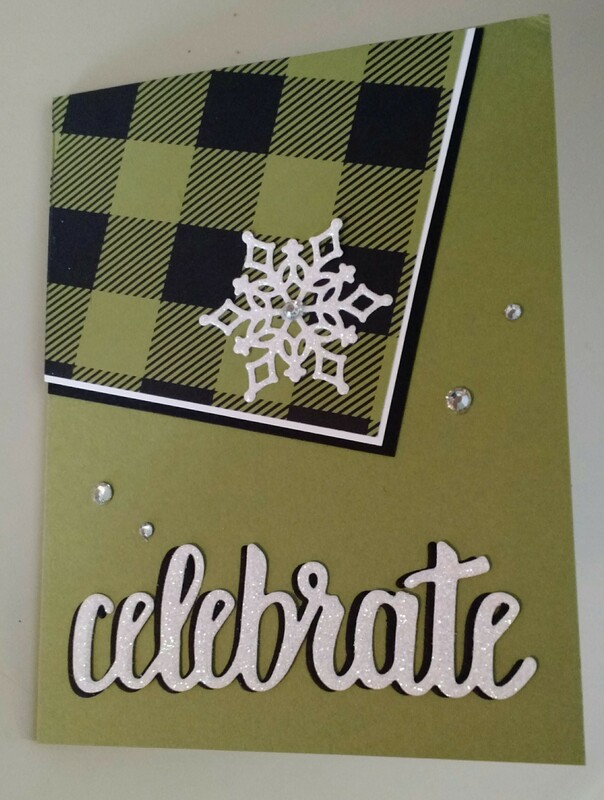 Her card was made with cherry cobbler cardstock and had a larger, round snowflake that was just beautiful. This pretty snowflake came from the Snowfall Thinlits Dies and the sentiment was cut from the Celebrate You Thinlits Dies.